A beautiful cherry tomato with deep wine coloration and rich crisp sweet fruit flavor… reminiscent of a fine wine with a wonderful smoothness. It’s excellent for roasting, superb for sauce, and creates a striking presentation in a simple caprese salad. 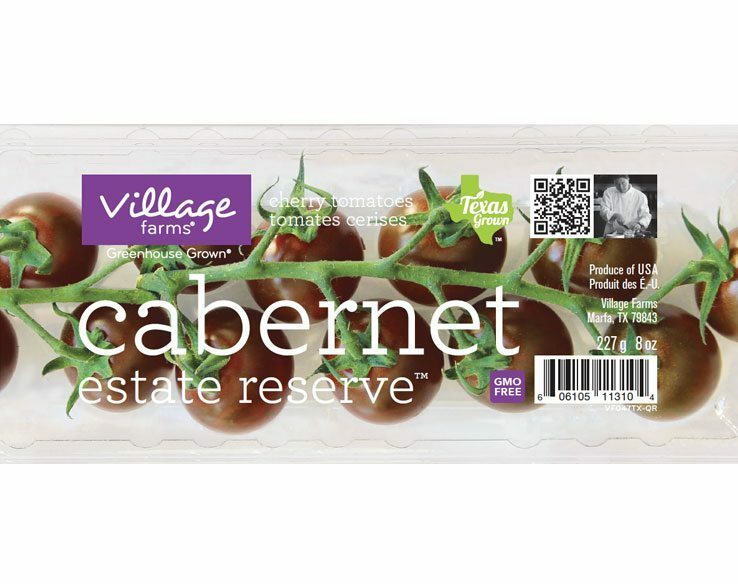 With its mini size, the Cabernet Estate Reserve™ also makes for a perfect snack. Besides being deliciously sweet,it boasts a healthy dose of vitamins and minerals, such as vitamin B-6, which helps the body metabolize protein and reduces the risk of heart disease. Low in calories and rich in fiber, it’s a crisp, healthy pick, as easy to reach for as your favorite glass of wine.